There's nothing like homemade apple pie. If you're a fan, you'll love Apple Pie Quest Bars! 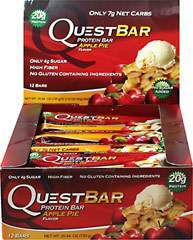 Quest Bars are the perfect nutrition bars for anyone looking to get top quality protein.